This week Singapore's government proposed its anti-fake news law in parliament - the Protection from Online Falsehoods and Manipulation Bill. The government says the law is necessary to protect Singaporeans from fake news and educate them about potential damage it can cause - in particular inciting racial and religious disharmony. But critics say this new law puts too much power in the hands of the Singapore government, potentially threatening civil liberties. Under the new law Singapore's government will determine what is factual news and what is not. If there is content about public institutions the government says is false, it can issue corrections that must be published, though it is yet unclear the exact process of how that would happen. In extreme cases, it can tell online platforms to remove content it deems false. 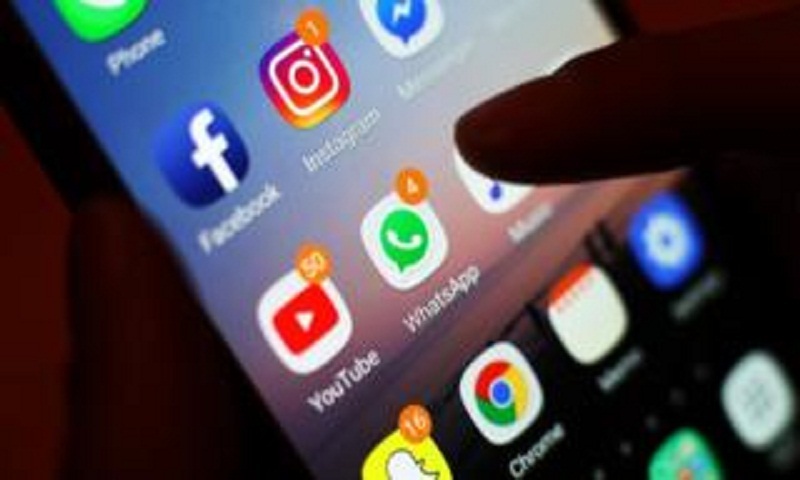 This would affect not just individuals but also social media sites like Facebook, Google and Twitter which have their regional headquarters in Singapore. Facebook and Google have said while they support regulation around fake news, they are concerned over some elements of the proposed law. Twitter has said it is reviewing the draft legislation. Media outlets like the BBC, Financial Times, Wall Street Journal and Reuters who are also based in Singapore, will be affected if their content is deemed to be false. Jail sentences and fines are also on the cards for those found guilty of publishing falsehoods with malicious intent or going against Singapore's public interest. The government says the law will not target opinions or freedom of expression. "Lawyers will know you can define what is true and what is false and refer to facts," Singapore's Home Affairs and Law Minister Kasiviswanathan Shanmugam said. "This legislation deals with false statement of fact. It doesn't deal with opinion, it doesn't deal with viewpoints. You can have whatever viewpoints, however reasonable or unreasonable." But experts say the law is too vague. "The law is sweeping, broad and contains vague wording that can be common to legislation in Singapore," says Chong Ja Ian, a political scientist working in Singapore. Professor Chong points to a number of clauses that he says gives broad latitude to the Singapore government. "Several sections [4(f), 7(1)(b)(vi), 8(3)(f), 9(3)(f)] say that a person must not do anything in or outside Singapore, according to the law, to 'diminish public confidence' in a state body," says Professor Chong. "What does 'diminish public confidence' mean? A minister can have a lot of latitude to determine whether a statement diminishes public confidence or not." Take for example the high profile escape of alleged terrorist Mas Selamat, who escaped from a Singapore prison in 2008 by climbing out of a window. Under the proposed law, that he broke out may be a fact, but could reporting that it was because of inadequate security measures, thereby eroding confidence in a public institution, be in violation of the law? Experts say clauses like this could potentially make commenting or reporting on matters of public interest problematic. Professor Chong also refers to Clause 61 which, according to the draft bill, "enables the Minister to exempt a person or class of persons from any provision of the Bill". The way the law is worded suggests the government "can exempt anybody from this act that they want," he says. The fear is that if power is abused, the law leaves open the possibility that a government official would not be brought to account for potentially spreading falsehoods. Is going against the government realistic? The government says that if you do not agree with their decision, there is always a judicial review open for you. "The government is not the final arbiter of truth" Mr Shanmugam says in a Facebook post, in an attempt to clear up misconceptions about the proposed law. "If the person who puts it [the content in question] up says, no this is true, this is not false, then challenge it in court...The courts are the ultimate arbiters of the truth." But Kirsten Han, editor of New Naratif, a regional-focused news site, says that's not a realistic option for most Singaporeans who don't have the time, money or the will to go up against the government. "I would question the number of alternative sites and Singaporeans who would have the resources to take the government to the high court in an attempt to overturn a minister's direction," she said. "The most important near term impact will be that people will stop sharing and commenting as much online," says Singapore writer Sudhir Vadaketh. "If people become afraid to talk about things… then they won't just become hesitant in talking about race or religion. They will be afraid to criticise any government policy." "They will be worried about commenting on what is going on in Singapore." The draft bill will most likely be voted on in parliament next month. Singapore's ruling party, the PAP, has been in power since independence in 1965. It controls at least 80% of the seats in parliament, so it is almost certain the bill will become law. When it does, the next step is to watch how Singapore uses this law in practice. Rights groups point to previous cases which they say show the Singapore government's sensitivity to criticism, and say that sets a worrying precedent for how this law may be used. The bill is also being pushed through ahead of widely expected elections which it is thought will be held soon. "This is politically driven," says Phil Robertson, of Human Rights Watch. "A government heading to an election...they are worried. Singapore is using this law to set themselves up as the lord and master of what is right on the internet." Still, some legal experts say the law has the potential to add clarity to matters of public debate, and should not be seen as something sinister. "There is a pragmatic streak in the law," says Eugene Tan, Associate Professor of Law at Singapore Management University. "It seeks to have the government's version of the facts and its side of the story known. When it becomes law, the content producer and/or the online platforms will have to carry the competing narratives." Regulating fake news is necessary. And how Singapore is proposing to tackle this will be watched closely in other Asian capitals. But laws should be designed to protect citizens - that includes from the potential abuse of government. No government is perfect, but Singapore's approach may depend far too much on the benevolence of those in power.